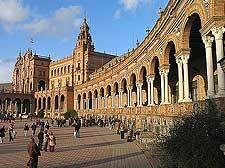 Once the gateway to the New World, Seville today retains much of its historical charm, while also keeping apace with modernity as the capital of Andalucia and southern Spain's cultural epicentre. The city has seen a steady increase in tourism and is served by low-cost airlines. Year-round mild weather, along with a profusion of heritage landmarks, draws many expats to reside in Seville long-term. Others choose to invest in centrally located properties to let, due to the promising potential of returns. 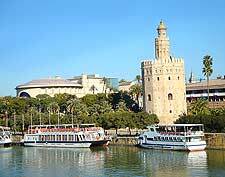 Historical Seville is perhaps the most attractive part of the city in which to reside, yet also the most expensive. Triana, across the Guadalquivir River from Seville, also has an old world charm, while the Island of la Cartuja houses some of Seville's most modern developments and educational facilities. Property prices in Seville have not yet reached the inflated rates of properties in Barcelona or popular Spanish coastal resorts, meaning that investing here is still an attractive proposition. 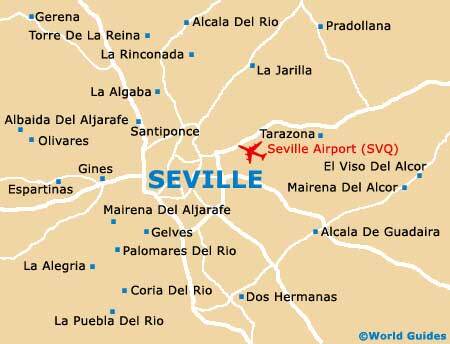 You are more likely to find a 'pension' (small guesthouse) in Seville's historical centre than a serviced apartment, yet the outer districts of the city and the area around the airport have seen the establishment of a handful of serviced options, many of which have a minimum stay requirement. Prices escalate during peak periods (April to May, September to October, and festivals) but are typically more attractive than comparable hotel rates, with discounts offered for weekly or monthly stays. Facilities at serviced apartments in Seville vary, but usually include a cleaning service and unlimited Internet access. Due to the high price tags of centrally located Seville properties, many expat families chose to buy outside the city and rely on transport links to reach the centre. Living in the likes of Triana and the Island of la Cartuja usually means you get more for your money. Those who can afford to purchase a centrally situated apartment should check the night-time noise factor before closing a deal, as the locals enjoy late night revelry throughout the week. Also of note, many low-rise apartments don't have lifts. Mortgages of around 60 percent are available to non-residents from Spanish banks and there are no restrictions on foreign buyers. Property buyers should expect to pay a deposit upon agreeing on the purchase. Transfer taxes are then payable after the deal is closed, and property registration is recommended. Non-Spanish speakers will find it necessary to go through a real estate agent when purchasing a property in Seville, yet renting without the use of a middleman is feasible. Commission for using an estate agent can run as high as six percent, and so it pays to shop around and find one that offers value for money. Not all Seville realtors speak English. Dealing in property sales across Andalucia, Casa-andaluza.net offers a quality service at an attractive price. This Seville real estate agent helps buyers and tenants fulfill their Seville property needs. A professional Seville-based realtor with an impressive portfolio of properties to buy and rent.